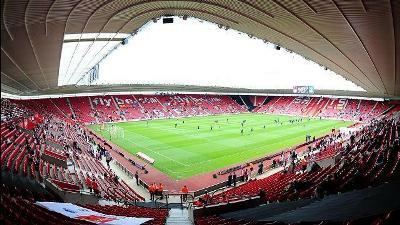 Premier League Results: Score, Match Analysis and Highlights from the Fixture between Southampton vs Queens Park Rangers on Saturday, March 02, 2013. Includes Video Highlights for U.S. viewers (as available). Queens Park Rangers thought they were going to take a lead into the first half, but Southampton’s Gaston Ramirez made sure to pull Southampton level. The Saints were largely the better team in the first half managing 10 shots compared to only 3 from QPR. The second half saw a complete reversal of fortune for both teams. Southampton continued to dominate play, but QPR relied on the counter attack and some excellent goal-keeping (again) from both Cesar and his substitute, Rob Green. Ji Sung Park started the play that saw Jay Bothroyd put QPR in front in the 77th minute. They were able to hang on to a precious win that certainly does not help Southampton. With the loss Southampton are returned to the relegation battle with 27 points in 16th place. This puts them 3 points above both Wigan and Aston Villa immediately below them. While the win was a fantastic result for QPR, it doesn’t mean they by any means safe. They remain bottom of the table with 20 points and only 3 wins this season.